February 1, 2019 Phoenix Labs has issued a follow-up statement regarding Dauntless’ upcoming move to the Epic store. Dauntless is abandoning its launcher, and all player accounts will need to be migrated to the Epic Games store. While the original client will still be available for a while, a full migration will take place later this year, after which you’ll need to have an Epic Games account if you want to keep playing. Since then, however, Phoenix Labs has issued a statement “to clear up a few misconceptions that seem to be permeating the public discussion about the move.” The announcement previously stated that “leading up to launch, we will be converting all Dauntless accounts into Epic Games accounts,” but the developer says that “account linking will be an opt-in process,” and that no-one will have their account linked without their participation. The developer also made clear that it will not be sharing any personal information with Epic leading up to the move, and stated that it will communicate the message shared in the original announcement more clearly in future. The move is designed to coincide with the game’s console launch, which is scheduled for April 2019, but as yet there’s no word on exactly when the migration process will begin. Once all accounts have been migrated, the existing Dauntless patcher will be retired, meaning you probably won’t be able to reliably play or progress after the move. 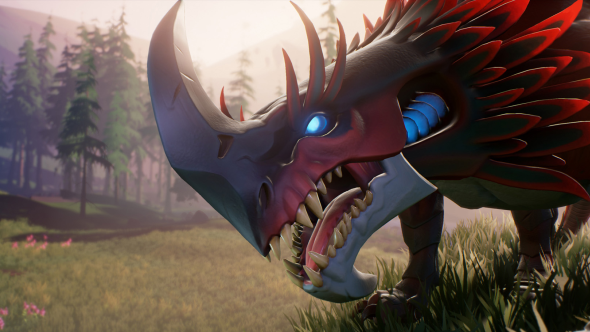 Dauntless’ move is arguably less impactful as no other third-party platform is affected, but given the game’s success last year, it’s another important arrow in Epic’s quiver.